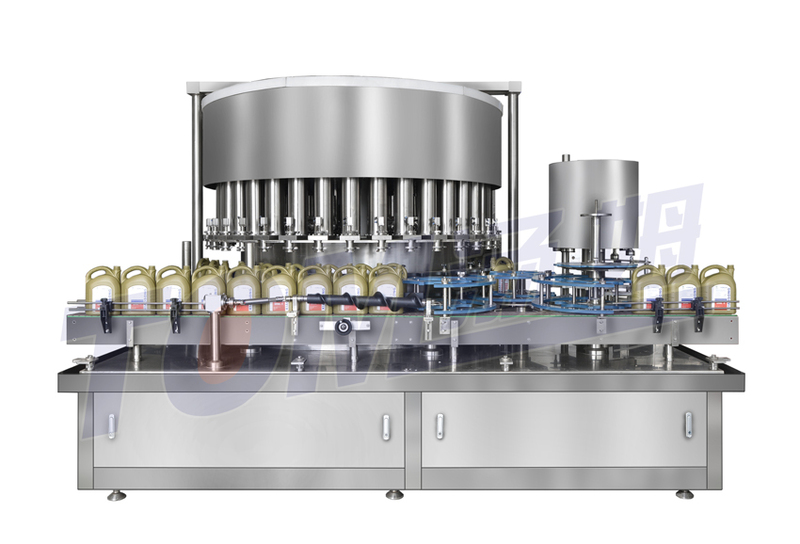 DGP-DL Series Intelligent sensoring rotary filling machine using the company's self-developed rotating wire loop , is currently high-end products of liquid filling in China , with high automation, high filling precision, suitable for gas-free drinks, beverages, condiments and other quantitative filling solution. The machine uses a touch screen instead of the traditional button, operation simple , convenient , intuitive , good technology content, measuring machine's filling via a touch screen to adjust the filling time to achieve different metering filling, easy use for operator. When filling, overcome the traditional way which hold the bottle lifting, bottle mouth don't touch the filling electronic valves, avoid secondary pollution , running smoothly. It adopts PLC control, with characteristics like no bottle no filling, filling speed fast, high precision; the liquid does not spill. It adopts under seal structure after filling is completed, effectively avoid the dripping phenomenon. Materials tank's level controlled by float ball switch, liquid level positioning accuracy. 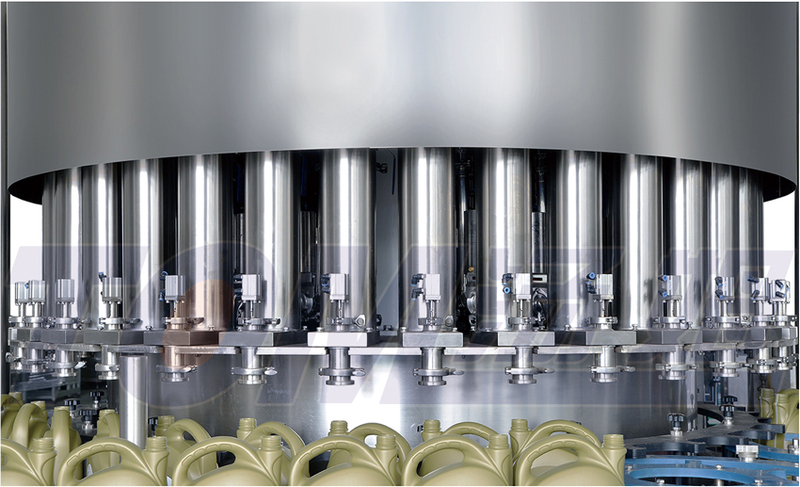 With feature of automatic protection shutdown, bottle in-out star wheel with overload clutch protection device, effectively prevent the risk of the bottle jammed, also with the emergency stop button ,easy operation personnel stop the machine, greatly improving production safety factor. Touch screen can display the current machine running speed, filling volume is adjustable at any time, also has a counting function. The part which come to contact with materials are made of high quality. 304 stainless steel to ensure the filling liquid be free from pollution from the source , safety and healthy. Apply with food hygiene standards.